Delta is going to stop charging passengers for in-flight entertainment. Airlines aren't known for giving away services. But Delta Air Lines (DAL) says it will offer free movies, TV shows, music and video games on all U.S. flights that are 90 minutes or more, starting Friday. Delta said passengers can access the entertainment through the screens on seatbacks or via their own smart phones or laptops. Airplanes equipped with Wi-Fi will allow passengers to stream movies and television to mobile devices with the Gogo (GOGO) app. 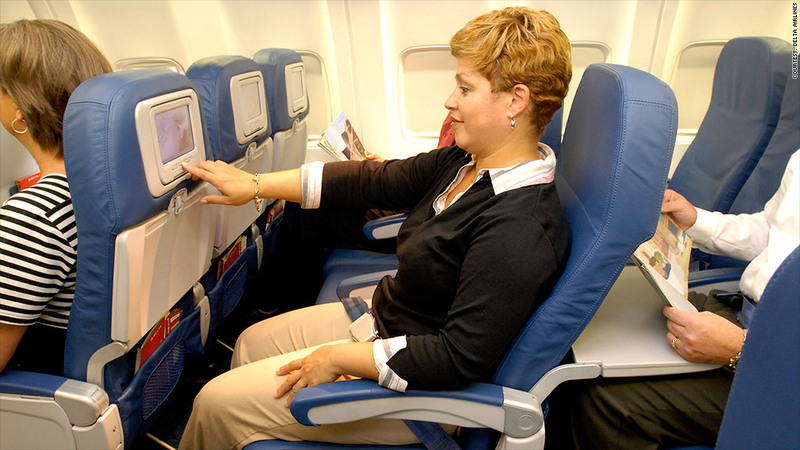 Bob McAdoo, airline analyst for Imperial Capital, said he expects airlines to move away from having screens hanging from the ceiling or mounted into seat-back and instead offering Wi-Fi that flyers can access on their own devices. "The new airplanes that they're ordering, they're ordering with no screens anywhere," he said. Delta has been charging 99 cents per television show and $3.99 per movie. The airline's financial documents don't say how much money it makes from providing in-flight entertainment. But altogether, the airline industry made $31.5 billion from fees last year, up from $2.8 billion in 2007. That includes baggage fees and other a la carte services, such as early boarding and non-alcoholic drinks. Airlines started adding those fees in recent years to achieve profitability in the face of rising fuel prices.